Easy deployment as an Azure VM extension. One-click automatic deployment into Microsoft Azure environment. 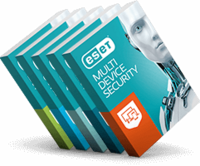 Proven ESET NOD32® Technology Working for You. 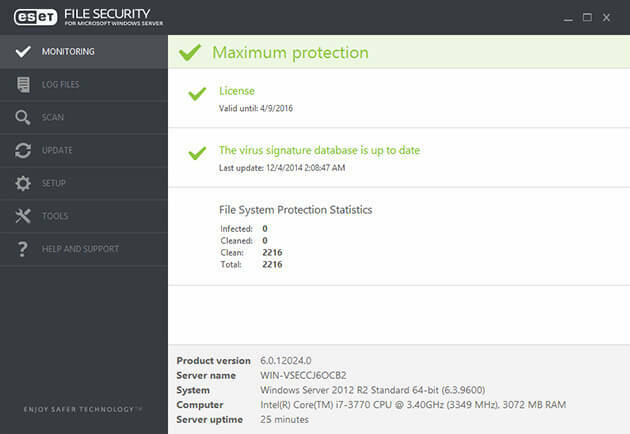 With Exploit Blocker and Advanced Memory Scanner to neutralize sophisticated threats. Eliminates all types of threats, including viruses, rootkits, worms and spyware with optional cloud-powered scanning for even better performance and detection. Monitors the behavior of malicious processes and scans them once they decloak, allowing for effective infection prevention, even from heavily obfuscated malware. New detection technology that strengthens protection against targeted attacks and previously unknown exploits – i.e. zero-day attacks. Interconnect several installed nodes of ESET File Security within a cluster and manage them as one, eliminating the need to replicate changes in configuration manually. ESET File Security delivers proven protection while leaving more system resources for essential programs that end users depend on daily. Monitors key functionalities of ESET File Security via WMI framework. This allows integration of ESET File Security into third-party management and SIEM software. Collects all logs relevant for troubleshooting into one archive, which can be emailed or uploaded to a shared network drive to speed up the troubleshooting process. The solution comes fully manageable via ESET Remote Administrator, delivering a perfect “look & see” overview of the network security status. Why run security solutions on VMs? Virtual machines can be compromised by malware just like physical machines. Therefore ESET File Security for Microsoft Azure utilizes the same technology as the on-premises version of the product while adding an easy deployment to virtual machines within the Microsoft Azure environment. Select ESET File Security VM extension from the list of extensions when configuring the VM and the installation will commence automatically. The Azure portal will display a notification about the progress of the deployment. After deployment on a Windows Server virtual machine, ESET File Security VM extension requires activation with a license key. Contact ESET to obtain your free trial license with absolutely no commitment or visit ESET store to purchase a full license. To activate ESET File Security VM extension, ESET customers can use their current valid ESET File Security license, making the migration from physical to Azure virtual environment easy and cost-effective. Note: Not compatible with previous versions of ESET Remote Administrator. See more information about ESET Remote Administrator compatibility.